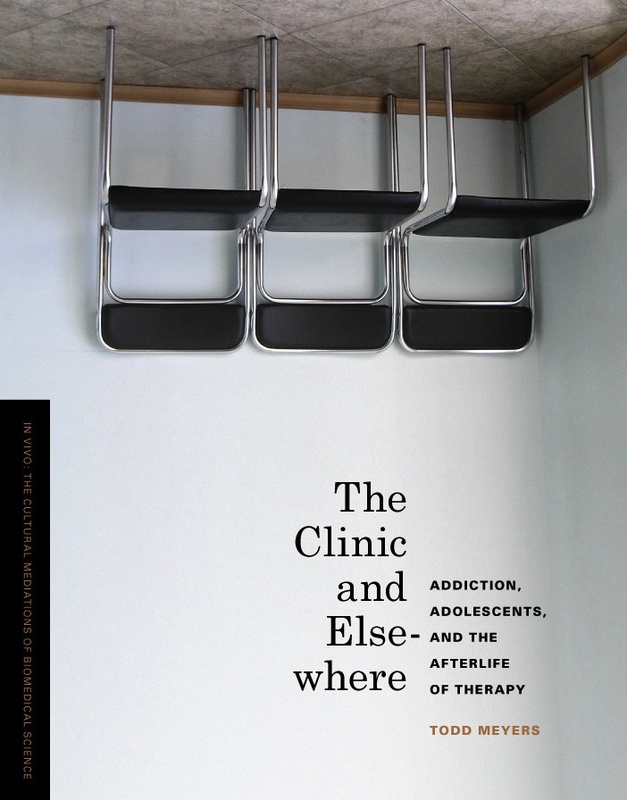 Editor’s note: Points welcomes Todd Meyers, a medical anthropologist at Wayne State University, to discuss his new book, The Clinic and Elsewhere: Addiction, Adolescents, and the Afterlife of Therapy (Seattle: University of Washington Press, 2013). The book tells the story of a small group of teenagers (some quite young) who abuse opiates (heroin, prescription painkillers) as well as other drugs, and what drug dependency treatment was like for them. I met most of them during their time at a residential drug treatment center in Baltimore – a treatment center that, oddly enough, was once a monastery. I was fool enough to attempt following them around for long periods of time to gain an appreciation of how addiction and treatment ­took shape in their lives – how these two “modes” (drug dependency and its treatment) blur in unexpected ways. And that’s really one of the key arguments of the book – that clinical activities and thought reach into this thing we call “the social” and vice versa, thus the title of the book, The Clinic and Elsewhere. All of the kids I followed were treated with a relatively new pharmaceutical therapy (buprenorphine) for withdrawal and replacement therapy, and I followed that treatment process through their time in residential care and back into their homes or other institutional environments. The book is simultaneously about the new pharmaceutical therapy itself – tracing its development and approval as a new treatment modality. The book is a bit theoretical (what are the experiential dimensions of therapeutics? of patienthood? of success and failure of medical intervention? of concern? etc.) and a bit straight storytelling (that is to say, it’s ethnographic, through I’m becoming less and less satisfied with the salience of ethnography as both the technology and product of fieldwork). I attempted, at times clumsily, to make sense of treatment and addiction alongside these kids and their families as they themselves struggled with its meaning. That’s probably what I’d say. But in full disclosure, the last time I had a conversation with a bartender it began with hearing how he makes his own bitters from plants in his hydroponic garden and ended with him describing his thesis project (something about lactose fermentation and legal aspects of local food production), so I don’t think the book would be much of a stretch. In fact, that’s part of my effort – to present work in conceptual terms that is not completely foreign to a broad readership (though not to water things down by any means, keeping with the bartender analogy) – and at the same time I have tried to write against the anticipated trope of marginality. That last part is probably the hardest to convey convincingly. 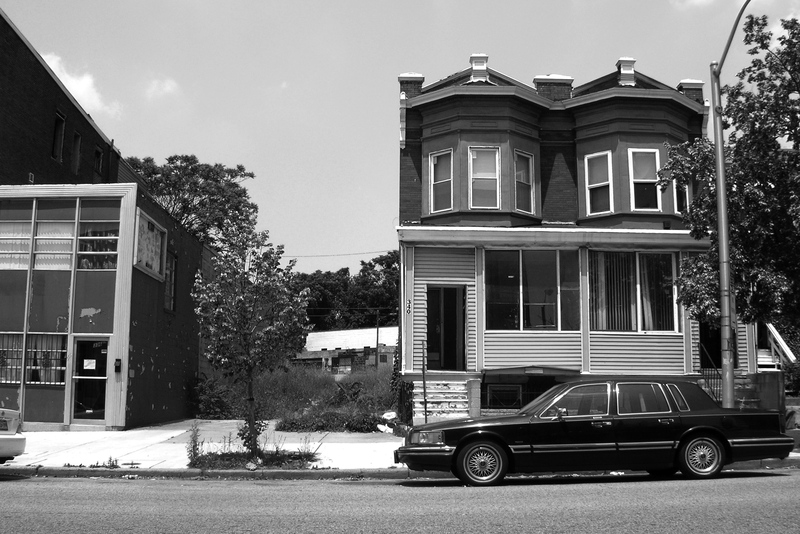 The book is not a series of reworked scenes from The Wire but instead attempts to demonstrate the slow, at times banal, at other times brutal ways in which both addiction and treatment take hold within the domain of individual experience (contrasting a perspective where treatment neutralizes addiction uniformly, or that the experience of treatment is largely unvaried). Well, part of the book is about the recent history of a drug (buprenorphine) and its transformation from a not-so-great analgesic (used mostly to treat mild to moderate post-operative pain) to becoming the leading treatment for opioid dependency worldwide. There’s no shortage of coincidence in my project as Baltimore is place where researchers working out of the Johns Hopkins University Bayview Hospital did a majority of the early clinical trials with this drug on adult heroin addicts in the late 1970s, comparing buprenorphine to methadone and placebo. The drug was not a homerun by any means, but it was found to be just as efficacious in trials as existing treatments, it was safer (less chance for respiratory depression, etc. ), and most of all, it was considered to have less potential (pharmacokinetically) for abuse, which was a major concern with methadone. Nancy Campbell and Anne Lovell recently published in the Annals of the New York Academy of Sciences what I think is the definitive historical overview of buprenorphine as a drug dependency treatment. Of course, there are lots of twists and turns in the story. How did a company that was best known for its household cleaning supplies become the world leader in pharmacotherapy for addiction treatment? How is it that some tricky legislation prevented competition in the market place? And how, after repeated failure to have the drug approved for addiction treatment, did these efforts ultimately lead to the rescheduling of this drug by the DEA, opening clinical spaces that were previously off limits (namely, private office-based treatment)? It’s a fascinating story, and my book narrows in on a few of these details. What initially drew me to the topic was the fact that adolescents were really at the core of the argument in lobbying efforts to get Subutex® and Suboxone® (the two buprenorphine based drugs developed by Reckitt Benckiser Pharmaceuticals) approved. Yet the timing is curious. Adolescents were identified as a new and ever-growing treatment population (an “expanding population at risk”), and it was argued that this drug was particularly good for treating drug dependency where opioid abuse was fairly recent (as opposed to long careers of abuse) – but the truth is, up until that point, very little was known about the short and long term effectiveness of the drug in this age group when these claims were being made. There was not much evidence to support this particular claim, but the anxiety about the widespread abuse of narcotic analgesics became a sufficient substitute. What I find fascinating is the rhetoric about buprenorphine’s success often outpaces the science. And the same can be said about critics of buprenorphine. Restraint. I feel the book is written with restraint. The working title for the book was In Between Days, with an obvious and peculiar nod to The Cure song by the same name, largely because I saw my focus as being what happens “between events” – between incarceration and rehab, between crises and recovery. I am not interested in eavesdropping on suffering or assuming kindred positionality. The dual economies of identification and empathy (including how empathy is withheld) that surround drug use and abuse never cease to amaze me. I’ve tried to write about and within this perilous thing called “time” – about the way, for a lot of these kids, their futures were foreclosed…or maybe it’s better to say that their horizons were constantly lengthening and shortening. I realize I’m mixing a lot of metaphors, but it is very easy to make claims about “everyday life” only to mark time through its evented-ness. I realize there are expectations of character development, narrative arc, and a kind of undergirding logic even in anthropological writing. But I kept finding that some of the “cases” I followed didn’t go anywhere or unfolded in ways that didn’t make for “good storytelling,” so I wrote them that way. 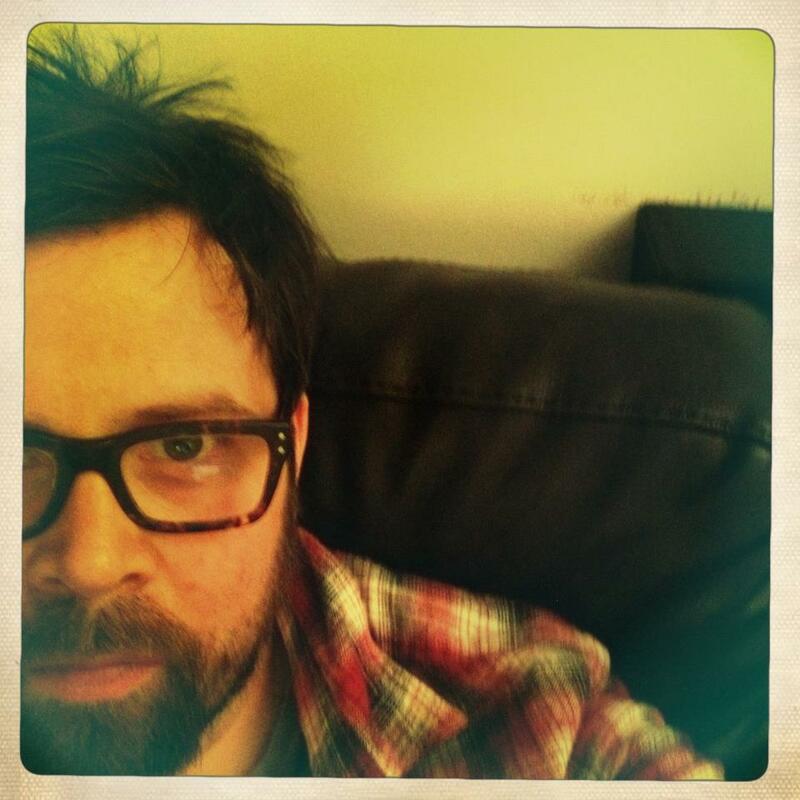 So, restraint…or the mindful inelegance of fieldwork. Some recent writing by Paul Rabinow and Anthony Stavrianakis, while in vastly different fieldwork situations, has really helped me exorcise some of the demons that remain of my own fieldwork experience. What else? Maybe it sounds a bit vain on my part, but I love the square format of the book and the cover art. Thomas Ekyemans is the hugely talented designer who creates the covers for the series in which my book appears. I’m also happy with its appearance in the In Vivo series at University of Washington Press (and not just because it resulted in a beautiful object). Perhaps I’m stating the obvious, but it is increasingly important for scholars (historians, medical anthropologists such as myself, others working in the interpretive social sciences) to assert themselves in larger scholarly conversations. This is easier said than done. Ironically, all the talk of interdisciplinarity has made it a little easier to retreat to disciplinary grounds. I want my work to be read alongside work in science studies, critical theory, philosophy, intellectual history, and public health science – not because it’s any of these things, but because at its core the problem of knowledge (of evidence, of experience) persists (I know that sounds old fashioned of me). I hope I’ve started to do this with its appearance in the In Vivo series, but I’ve made other efforts as well, such as my work with the Forms of Living series at Fordham University Press and my collaborative work with Stefanos Geroulanos. I want the book to create an opening as much as to fill one. Werner Herzog. I tried to write the book in a way that did not follow neatly along the grain of “addiction ethnography,” or even clinical ethnography more generally. I’d like it to be read in the same, crooked way. Or rather, to be read in a way that invites the reader to spend a little extra time on moments that at first may seem simple or uncomplicated but are slightly askew. I remember sitting in the theater listening to Herzog describe the gradual process of calcite formation on cave drawings (in Cave of Forgotten Dreams) and being struck by the care of his description – not just his care for words or for his subject matter, but his completely untroubled hold on the ordinary – a care that allows irresolution, incommensurability to stand. I’ve always found Herzog’s films to act out in various ways against taken-for-grantedness (of human experience, of nature, of recording events, of living in a world populated by other people). The book is short and deliberate – a friend described it as not so much condensed but sifted – and I’d like to think of this as a “Herzog-ian” approach to interpretive social science. So, yes, Werner Herzog. Or maybe Jim Jarmusch.